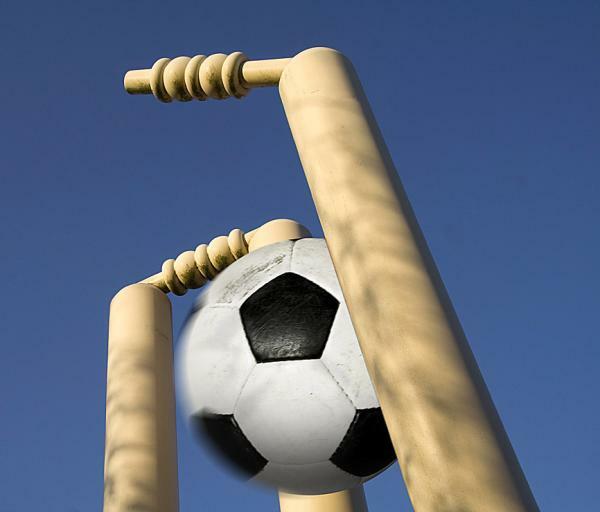 CRICKET and FOOT BALL—Your healthy path to fitness! How often have you taken a cricket bat and ball or just a football and decided to go to an open ground and play with your group of friends? I am sure very often. Both these games that originated in England and is a world sport today is very popular and played both among children and adults across the world. More so playing these games as a hobby is very cheap and also makes one healthy and fit. These sports help you develop muscles and burn calories while improving your coordination and stamina. Working on your coordination and stamina are important for this game. Endurance and stamina – You need to have strong endurance and stamina as you have to concentrate and play for several hours. 2. Improved hand-eye coordination – Whether you are bowling, batting or Fielding, playing cricket will improve these skills. 3. Physical fitness – This involves short bursts of sprinting and throwing, no matter what your position, either between wickets when you’re batting, when you’re running up to bowl, or when you’re running after a ball in the field, which is good for cardio-vascular health..
4. With eleven players a side, you’ll make ten new friends and that’s healthy. An interesting fact is that Cricketers for better performance play football to build their stamina and increase their fitness levels. Various international research papers indicate that men who played football for an hour-3 times a week had lower levels of blood fats, lower body fat, increased muscle mass and lower blood pressure than inactive men. Football has greater health benefits than jogging because it combines slow and fast movement with sprinting and this combination of fast, slow and sprint makes the heart work at different paces, which really helps one to control body fat and increases overall fitness. Playing football also releases a healthy level of endorphins, which act as mood stabilizers. Playing football improves the coordination of your body, as the intensity and different range of movements involved in Football vary, including kicks, turns, twists and sprints, provide better overall exercise. So forget the gadget games and keep aside your x-box. Gadget games will only reduce your life span and make you lead a sedentary lifestyle. Instead get your group together and shake your hands and legs playing cricket or Football in the outdoors. It will only increase your lifespan and make you more healthy and fit.